Haifa to be Invaded by Chinese? Haifa is about to be "invaded" – by Chinese tourists, writes David Lev http://tinyurl.com/ote6rgw . Workers from Shanghai, Sanjin, and Chengdu will be offered low-cost vacation packages to the city, after Haifa Mayor Yona Yahav signed an agreement with officials from the tourism department of the three cities. Considering the fact that there are about 200,000 workers in the unions – and those visiting are expected to come with their families – the city is preparing itself for an inundation of Chinese visitors. After a ceremony this week, Chengdu joined the other two cities as Haifa's Sister Cities. The agreement include working together on municipal improvement projects, developing technology together – and a mutual tourism agreement. Haifa will do its share to encourage residents to visit China, while the Chinese cities will put the word out about Haifa-oriented vacations. But considering the potential pool of visitors from either side, it's likely that Haifa will be much more impacted than its Chinese partners. A Haifa municipality spokesperson said that they expected the visitors to make a “significant contribution” to Haifa's economy. To prepare for the visitors, Yahav has spoken to developers, and hopes to increase the number of hotel rooms in the city from the current 1,700 to about 2,300. WRITTEN BY REGAVIM ON OCTOBER 9, 2013. · Original Inhabitants – the indigenous peoples are descendents of the first peoples to inhabit a particular territory. · Extended Period of Time – the indigenous peoples live in a territory “from time immemorial” over a period of thousands of years. · Pre-Colonial Sovereignty – the indigenous groups had territorial sovereignty before the arrival of a developed nation that took possession of the region. · Group Connection to the Land – they have a spiritual connection to the land on which they live. · External Validation – other external groups affirm that these people are in fact indigenous. Professor Ruth Kark of the Geography Department of the Hebrew University, considered an expert on conceptions of land ownership in traditional and pre-modern cultures, in an article that appeared in the “Middle East Quarterly,”enumerated the generally accepted parameters of the term “indigenous,” and explains why the Bedouins cannot be included in this category. Here is the synopsis of her conclusions. · Indigenous Peoples – Many groups preceded the Bedouins in Palestine in general and in the Negev in particular, including Jewish inhabitants who maintained an uninterrupted presence in the land since the days of the Bible. Therefore the Bedouins cannot claim that they were the original inhabitants of the land. 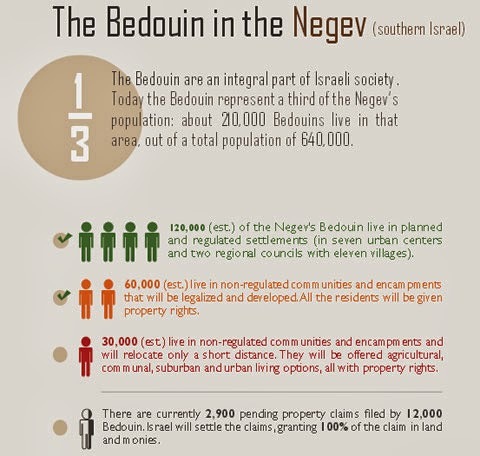 · Sovereignty – in the case of the Bedouins of the Negev, they never had sovereignty over the region. When they arrived, the Negev was already under Ottoman control, followed by British and Israeli control. · A Unique Spiritual Connection to the Territory – nomadic life precludes any specific fixed connection to the land. There is no long-standing proof in the Bedouin tradition establishing a spiritual connection between them and the Negev, a logical situation owing to their relatively brief presence there and to their nomadic lifestyle. Indeed they claim the Arabian Peninsula to be their historic homeland. Today, the Bedouins are not claiming collective rights to the land, but are rather demanding fulfillment of the rights of individuals to sell the lands and transfer them to a third party. Such private demands are contrary to the spiritual dimension, and point to the fact that the main aspiration of the Bedouins is financial gain with no collective character that would be relevant to their campaign to be recognized as indigenous. · The Group Defines Itself, and is Regarded by Others, as Indigenous Inhabitants of the Territory – The claim of the Bedouins as indigenous is quite recent, and was first mentioned only a number of years ago.Previous studies did not find that the Bedouins regarded themselves in this way, and no researchers made the claim that they were indigenous. The fact that no other Bedouin tribe in the Middle East ever made the claim of being indigenous raises questions as to the motives and authenticity of such a claim. Since the Bedouins of the Negev in a number of cases are a part of the same tribe that dwells in neighboring countries, it is thus illogical to say that only the Bedouins who live on the Israeli side of the border are considered indigenous. This week there was a visit of a Zionist Federation mission from the UK that included a visit to Soda Stream, the company targeted by boycotters in several countries around the world. The group was addressed by senior managers and several interesting facts came to light which, perhaps should make BDS campaigners wonder if their boycott campaign is starting to backfire. In the last 40 years of operation the company has been on a significant growth rate climbing from 8 to 46 markets and sales up to $500 mill per year. If that was not impressive enough, the business plan calls for sales to increase to $1 bill in the next 3 years, a truly exceptional rate of growth. The BDS campaigners should eat their hearts out. Out of a work force of 1300 employees. 600 are Palestinians who travel in daily from Palestinian Authority controlled areas and a further 450 are from East Jerusalem. Salaries are between 4 to 8 times higher than those in the Palestinian areas and health care is provided by the company. A pity that the so-called "human rights activists" minds are so closed to the reality of life here. There was plenty of opportunity to talk to the employees and among the comments heard were "This is the greatest company" and "you wouldn't get treated like this anywhere in the Arab world". The group then moved on to Ma'ale Adumim and after the short tour around the city, we were addressed by the Mayor Benny Kastrel. The city is home to 40,000 residents of whom 1/3 are under 35 years old and 11,000 children are in the school system. The city has been developed to minimise contact between pedestrians and vehicles. A total of 21 bridges and 14 tunnels allow safe passage of the residents. 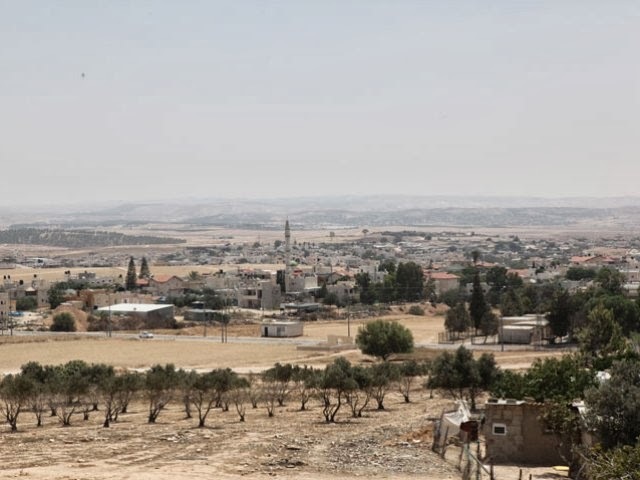 The Mayor stated that although donors are hesitant to provide funds for further development projects, the USA and the EU have stated that they consider Ma'ale Adumim will remain with the future negotiated borders of Israel. A recent film issued on Al Jazeera http://tinyurl.com/ndsuesc depicts passionate views from Palestinian priests, a Christian tour operator and a British writer as they speak out against the obstacles facing pilgrims visiting sacred sites today, particularly Bethlehem and Nazareth. As with many such programmes, the arguments seem convincing. I passed it on the a friend who is a professional tour guide and surprise, surprise, there is a different story. Thank you for this. I watched that film twice and I must say, it is a good piece of propaganda, filled with half truths and lies. As a tour guide working with pilgrims (and other groups) I must say, that none of my pilgrims ever visit Yad Vashem. It simply does not exist in these itineraries. Also Eilat is never included, as a proper pilgrim tour takes 8 days maximum. Further, Qasr el Yahud is included in every pilgrim tour since the place is open to public. However, many Christians prefer to get baptised in Yardenit as the water quality at Qasr el Yahud is very poor. But there are groups baptising there as well. I see them all the time; Ethiopians, Russians, South Americans, Indians etc. Bethlehem; Only few Israeli tour guides and few Jewish bus drivers (all Israeli Arab drivers enter!) are entering the site, as we need special permit to Shetach A. There, a Palestinian Tour Guide, mostly connected to one of the shops, enters the bus and brings the pilgrims to one of the Restaurants, then to the Shop, then to the Church and the Shepherd Fields. Some groups stay overnight and tour next day to Herodion and other places. 45 minutes will never do! Nazareth; indeed, there is a point of truth that pilgrims visit the Church of Annunciation and that’s it. There is much more to see, but due to the itinerary, there is simply no time for more. Some operators include a walk through the village and a view point on Har Hagfiza. Jenin and Nablus are never included in a pilgrim’s program. It would be much more expensive, as bullet proofed buses have to be arranged and which Israeli tour guide wants to visit these places? I would not go and I think, we are not insured there, as we are not when we enter Bethlehem, even with permits! I checked on the internet that British Reverend talking in the film. He has an anti-Semitic record! Unfortunately, many people do not know how to differentiate between truth and propaganda when they hear people of the public talking, like these different priests and reverends. It’s a disgrace! Films like these make me very angry and sad. Jamal Al-Karnawi - a Bedouin who is an advisor for Arab students at Ben Gurion University in southern Israel and a social activist - relates his views on the Bedouin communities of the Negev and their participation in higher education, the advancement of women and the Begin Plan for bettering the lives of the Bedouin in the Negev. 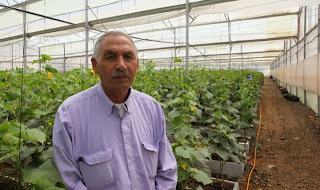 Al-Karnawi doesn't only talk the talk: his job - helping Arab students at BGU - will enable the younger generation of Israeli Bedouin and other Arab-Israelis to succeed in their studies and their life after university. 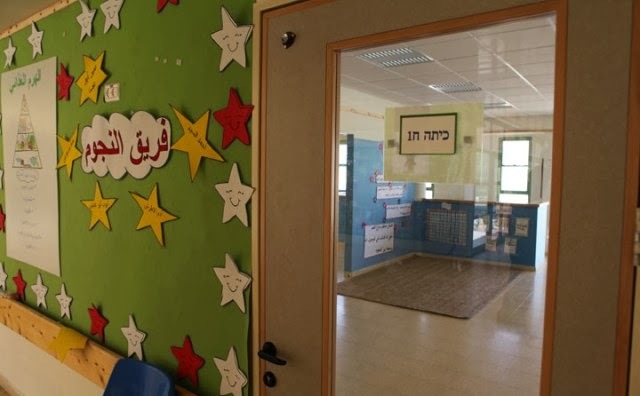 Arab-Israelis face many difficulties in higher education, from language to cultural barriers. Advisors like Al-Karnawi, and the many programs to assist them, help these young men and women obtain the degrees so important for meaningful careers. Al-Karnawi emphasizes the need for the Bedouin and the government to find common ground. While he expresses his support for the current process of talks related to the implementation of the Begin Plan as well as for projects to enhance living conditions in Bedouin society, he also emphasizes the need for better communication with the Bedouin to reduce their apprehension regarding the government's plans for development of the Negev. The Real Number of Palestinian Refugees? *According to an August, 1971 Ford Foundation report, by 1950, the majority of the Palestinian refugees began evacuating the camps and non-refugees moved in to benefit from UNRWA’s services. For example, half of the population in the Jelazoon refugee camp, near Ramallah, settled there after 1950. *A November 17, 2003 report by the US Government Accountability Office (GAO) documented that less than 33% of registered Palestinian refugees live in refugee camps. a) Before the 1948/9 War, 800,000 Arabs (per inflated numbers) resided within the boundaries of “pre-1967 Israel”. b) At the end of that war, 170,000 Arabs stayed in Israel. - and 10,000 were war fatalities. Thus, the actual total number of Palestinian refugees was 320,000. *Most of the refugees followed their political, economic and social leadership, which left before the eruption of the war. Many were enticed to depart by Arab leaders, who promised a quick devastation of the Jewish state that would provide the evacuees with Jewish property. British authorities influenced others, pressuring the minority in mixed Jewish-Arab towns to evacuate: Arabs evacuated but Jews did not. Palestinian Red Crescent ambulance assisted in tackling the snow and Ice near Bethlehem by the IDF. Just another area of cooperation!! The colourful Festival of Festivals, now in its 16th year, takes place every weekend in December in Haifa’s mixed Arab-Jewish Wadi Nisnas neighbourhood. Thus quotes "Jewish Times Asia" which just goes to show that the event is reaching a wide world audience. The festival promotes cultural and artistic events that celebrate - Chanukah, Christmas and Eid al-Adha. This year, the festival includes an art exhibition featuring the works of 50 Jewish and Arab artists in Wadi Nisnas; an art trail and an exhibition of paper cuts by international artist Tzipora Neeman with the cooperation of Jewish and Arab women. There are photography and video exhibits and an antiques fair that opened on 28 November and runs for five weekends at Beit Hagefen. 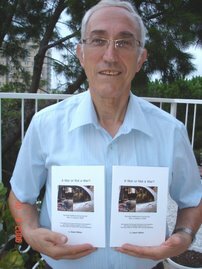 Further there is an arts and crafts fair; a children’s art exhibition; folklore concerts by the Romanian gypsy band Fanfara Shavale and others and music concerts in Haifa’s churches and concert halls that combine liturgy, Arab and Israeli music. Also taking place are street activities and free shows for adults and children; art activities and creative workshops for children; ethnic food stalls; coexistence routes of song and literature in Wadi Nisnas - marked by posters lining the streets; processions, carnivals, folklore dancing and more. Even Beduin Leaders like the plan!! a) Sheikh Odeh Zanoon is the first Negev Beduin leader to reach agreement with the State of Israel to establish a modern Beduin settlement for his tribe members, near Yeroham. The 300 families of the Zanoon tribe, currently spread across an area of 20,000 dunams without electricity, running water and roads, will move to a modern settlement of approximately 1,500 dunams. The settlement will be planned with their full participation. Many tribe members doubt Israel’s benevolence, but recognize that the plan constitutes an invaluable opportunity for real quality of life. b) Abed Tarabin is also moving his Tarabin clan from an illegal encampment near Omer to a properly- planned Beduin town, New Kfar Tarabin, with government support. e) Hassan Ka’abia, a Beduin officer in the IDF from the village of Ka’abia who now works for the Israel Foreign Affairs Ministry, says that the sedentarization of the Beduin people is necessary and inevitable, and the alternative is poverty, crime and illness. Consequently, the Netanyahu government should be praised, not vilified, by Diaspora rabbis and human rights activists for proposing a comprehensive, judicious (and very expensive!) 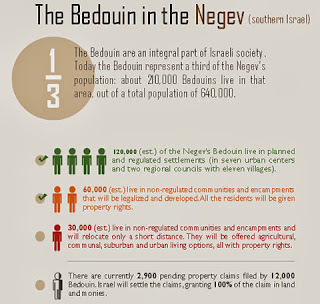 plan that will both facilitate proper development of the Negev and ensure advancement for the Beduin community. I feel a sense of pride to write the following the story of Yad Sarah as my daughter- in-law is heavily involved as a volunteer in the organisation, acting as manager of a branch of the organisation in the city where she lives. She spends time day, and sometimes night, to ensure the smooth running of the branch. So many countries have adopted this model which helps to save vast amounts of money that would otherwise be spent in the healthcare system. My wife and I have had cause to use the services in the past, so we know how effective they are. by offering equipment and support to people in their own homes. be cared for in hospitals or geriatric centers. medical equipment to Israelis and tourists -- rich or poor, Jewish or Arab. nothing more than a small security deposit asked up front. taken to hospitals by ambulance and then returned home the next day. the basic equipment to solve the problem every winter. are gone.No other country in the world has this kind of service with everything at one address. book to be shared with the family. from clients who donate the security deposit after an item has been returned. volunteer “angels,” mainly pensioners, to staff management and office positions at its branches. $20 million, and 94 percent of that comes from donations locally and internationally. for both humanitarian and economic reasons. The number of Palestinians from the West Bank working Jewish settlements there and in Israel has increased from 96,000 in the first quarter of the year to 103,000 in the third quarter. 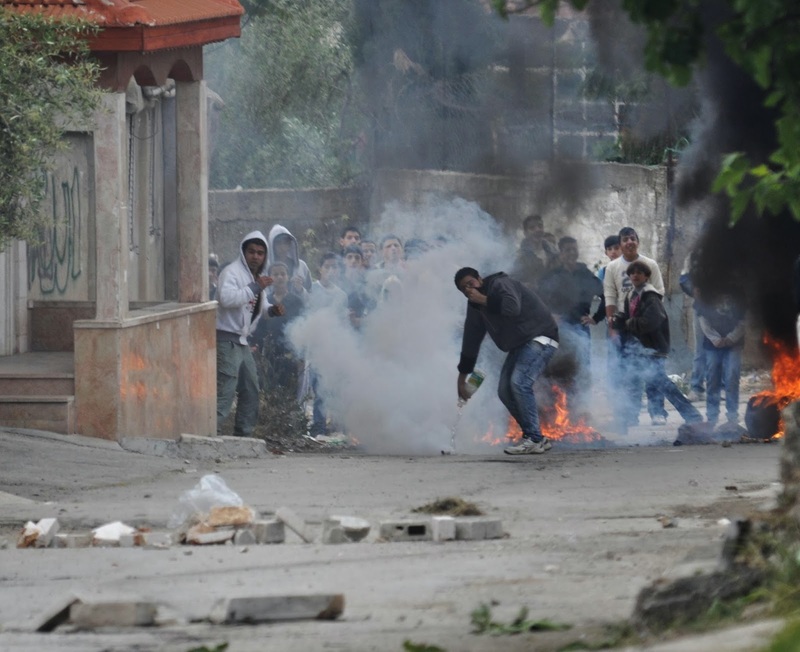 The numbers were released in a report by the Palestinian Central Bureau of Statistics on Thursday. 51,000 of the Palestinian workers employed in Israel had work permits while 34,600 did not have permits, according to the report. The bureau reported that there were 1.161 million people total in the Palestinian workforce: 761,000 in the West Bank and 400,000 in the Gaza Strip. The number of unemployed Palestinians hit 275,000 individuals, 145,000 in the West Bank and 130,000 in Gaza. The unemployment rate in Gaza was 32.5% and in the West Bank the rate stood at 19.1%. 43.1% of the unemployed were between 20-24 years old and half of all people with academic degrees were unemployed. The report found that among Palestinian cities Hebron in the West Bank had the highest unemployment rate at 22.3% and Khan Younis was the unemployment leader in Gaza at 35.8%. “I saw my life flash before my eyes, and felt the terrible fear of dying. I was traveling on a road in Samaria. A bus full of children returning from school came down the opposite lane. Suddenly, out of nowhere, I saw a firebomb fly directly at the bus. I blinked and saw in my mind one of those horrifying images of an exploded bus you see in the newspaper, only this time it was right there in front of me. When I opened my eyes, I breathed a sigh of relief. I didn’t know if it was luck or something else, but the firebomb missed the bus, flying right over it. One split second later, that sigh of calm turned into one of the most fearful moments of my life. The bomb was now heading towards me! I can’t explain how that felt in words – those few milliseconds felt like an eternity. I managed to step on the accelerator of my vehicle and the bomb landed in a bush a few meters away from me. I sped up and drove to a military position at a nearby crossing, and alerted the soldiers to what had happened. They quickly returned with their commanding officer to the scene of the crime to catch the terrorist. 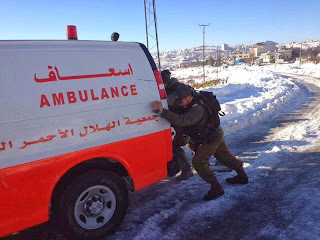 We heard on the radio that another IDF force had already arrived there. Terrorists have committed dozens and dozens of firebomb attacks this year across Judea and Samaria. When a terrorist throws a firebomb, he immediately puts lives at risk. Unfortunately, Shoval’s story is just one of many. Share this testimony and show the world the true face of the constant terror attacks that go unreported in Judea and Samaria. Associated Press report that a restaurant owner in an Arab village outside of Jerusalem says he is on a mission to save culinary culture by making diners a simple offer: Turn off your cellphone and get a 50 percent discount. "I'm changing something. It might be something small, but maybe in some small way I'll be changing the culture of eating," said Ibrahim, 49. This morning, 19 year old newly enlisted IDF soldier Eden Atias boarded a bus heading to Afula from neighboring Nazareth. Sitting next to him was 16 year old Hussein Jawadra, a Palestinian who had illegally entered Israel from nearby Jenin. In the next moments, by the time the bus had entered Afula’s central bus station, the young Israeli lay mortally wounded after being stabbed in the neck in an unprovoked vicious attack by the Palestinian teenager. Eden died in Emek Medical Center before we could save his young life. The young terrorist is currently being treated in another Israeli hospital after being injured during his apprehension. Another horrific example of life and death in the Valley of Armageddon, where Israel – committed to the sanctity of life - offers medical aid even to an enemy. Even to a politically motivated deranged murderer. We stand proud as Israelis, while we share bitter tears with the Atias family and our people. And many are still asking why we need the checkpoints!! The Bedouin in the Negev, numbering approximately 210,000, is one of many communities which comprise Israel's pluralistic society. Unfortunately, historically this community has been ranked low in socio-economic indicators. 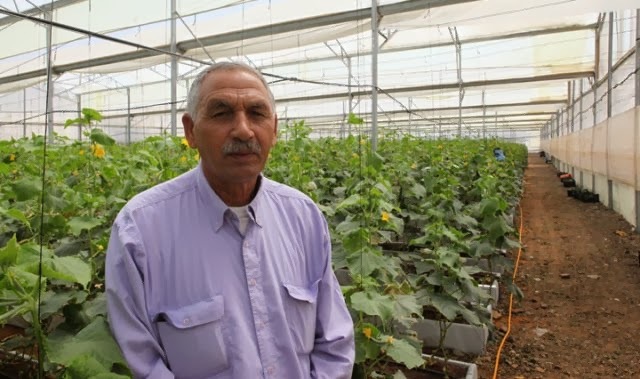 Recognizing that the Bedouin of the Negev need assistance, the government of Israel created a comprehensive policy - called the Begin Plan - aimed at improving their economic, social and living conditions, as well as resolving long-standing land issues. To this end, Israel has allocated approximately 2.2 billion dollars (8 billion shekels), including over 330 million dollars (1.2 billion shekels) for specific economic and social development projects. This January 2013 policy - named after then-minister Ze'ev Binyamin (Benny) Begin - is designed to solve a wide range of problems affecting the Bedouin population. Among the numerous initiatives that have begun or are planned are the expansion of technological and adult education, the development of industrial centers, the establishment of employment guidance centers, assistance in strengthening Bedouin local governments, improvements to the transportation system, centers of excellence for students and support for Bedouin women who wish to work or start businesses. Israel is working with the Bedouin community on all aspects of the Begin Plan. Indeed, the plan was developed through dialogue and in close coordination with the Bedouin: In an attempt to expand on the previous Prawer Plan, Minister Begin and his team met with thousands of Bedouin individuals and organizations during the development stage. As a result, Bedouin traditions and cultural sensitivities were taken into consideration, and a plan was formulated to reinforce the connection of the Bedouin to their culture and heritage. Furthermore, contrary to some claims, Israel is not forcing a nomadic community to change its lifestyle. The Bedouin in the Negev, who moved to the area starting at the end of the 18th century, began settling down over a hundred years ago, long before the establishment of the State of Israel. By now, most Bedouin citizens live in permanent homes. Still, one of the major problems facing the Bedouin is housing. Almost half of the Negev Bedouin (approximately 90,000) live in houses built illegally, many of them in shacks without basic services. 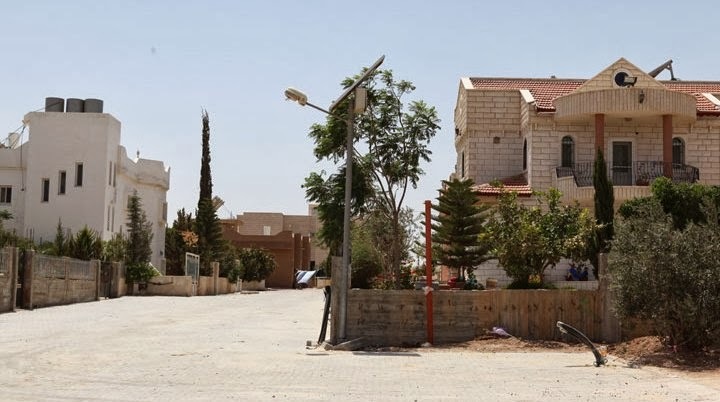 Isolated encampments and other Bedouin homes may lack essential infrastructures, including sewage systems and electricity, and access to services such as educational and health facilities is limited. There are solutions to this problem and to the many other difficulties facing the Bedouin. For example, under the Begin Plan, the government is giving every Bedouin family (or eligible individual) that needs it, a resident plot. These lands are being developed to include all the modern infrastructures and will be granted free of charge. Bedouin families can then build houses according to their own desires and traditions. Those that move will be offered their choice of joining rural, agricultural, communal, suburban or urban communities. A street in the Bedouin village of Drijat, "the first Bedouin solar village"
are powered by solar panels. Most of the Bedouin citizens will remain in their current homes. 120,000 already live in one of the seven Bedouin urban centers or eleven recognized villages. Of the remaining 90,000 that live in encampments or communities that are not zoned, only 30,000 will have to move, most of them a short distance (a few kilometers at most). The other 60,000 will have their homes legalized under Israel's initiative, which will develop their communities and grant the residents property rights. Much has been made of those Bedouin who will have to move. However, almost half of them (14,000-15,000) have settled illegally within the danger zone of the Ramat Hovav Toxic Waste Disposal Facility. Given the threat to their health, and even lives should there be an incident at the facility, the government of Israel has an obligation to relocate these families. There have been attempts to attack the Begin Plan (which its detractors deliberately misname the Prawer Plan in order to associate it with an outdated proposal). Many of those acting in the international arena against Israel's plan for the Bedouin belong to the camp which seizes upon any opportunity to harm Israel's reputation. Others have purer motives, but have based their opposition on false information distributed by Israel's opponents. This opposition is unfortunate, particularly for the Bedouin who will benefit greatly from the Begin Plan. This new policy constitutes a major step forward towards integrating the Bedouin more fully into Israel's multicultural society, while still preserving their unique culture and heritage. Most importantly, the Begin Plan guarantees a better future for Bedouin children. No longer will they have to reside in isolated shacks without electricity or proper sewage. Now they will live closer to schools and will be able to walk home safely on sidewalks with streetlights, alongside paved roads. They will have easier access to health clinics and educational opportunities. Their parents will enjoy greater employment prospects, bettering the economic situation of the whole family. To oppose the Begin Plan is to oppose improving the lives of Bedouin children. from C.P.) in the town of Tel Sheva in the Negev. The center, financed by Israeli governmental ministries, currently accommodates around 140 children with C.P., from pre-kindergarten to post high-school age, and will in the future accommodate 500 pupils. We were invited to attend the opening ceremony of the International Conference "Ensuring the centrality of gender equality and women's empowerment - post 2015 " in Haifa this week. There is much talk about the lack of recognition of Israel in the corridors of the UN, yet this conference showed how much support Israel has. The conference is sponsored by MASHAV, Israel's agency for international development in conjunction with UN Women and UNDP (development progress). In addition 4 other UN agencies were present and representatives from 33 countries. It was inspiring. The entrance to the ceremony wit flags of participating countries.